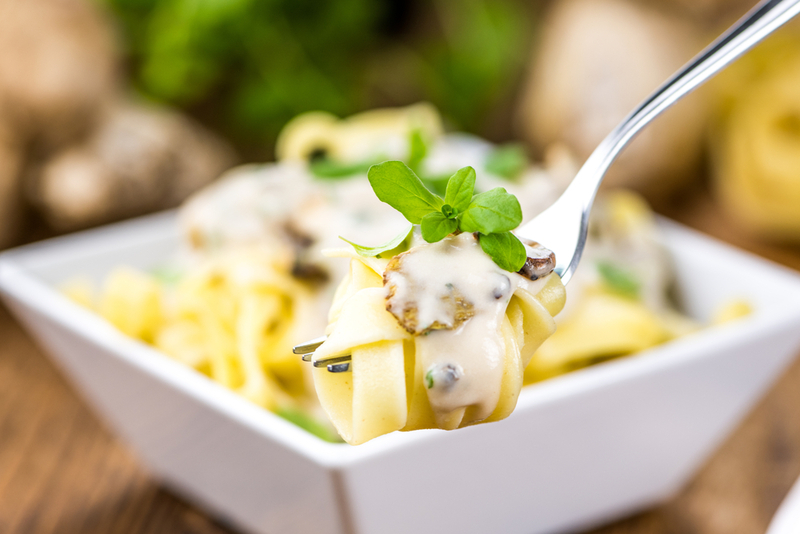 Italian cuisine is recognized worldwide for its deliciously indulgent qualities. From creamy pasta dishes to pizzas and the most heavenly desserts, everything about the food is seriously yummy! As is to be expected in the capital, London has some of the best offerings of Italian cuisine, but with so many places to pick from, how do you decide on just one? You don’t have to! We’ve done the hard work for you, narrowing it down to five incredible spots in London perfect for enjoying an Italian feast. And as you are treating your taste buds, why not go the whole hog and spend the evening in a fantastic hotel like the Park Grand London Hyde Park? A great choice for anyone who enjoys simple dining in small, intimate settings. The pasta dishes are classic and delicious and there is outside seating available, ideal when the weather is warmer. Sit back, relax and watch the world go by with a glass of crisp white wine. This Italian restaurant is the epitome of fine-dining. An extensive menu with classic and contemporary dishes is complemented by exquisite views of the gardens of Kensington. More for daytime dining? They also offer an incredible afternoon tea with an Italian twist including scones and Nutella. For a truly authentic experience, look no further than this classic Italian restaurant. We love the marble and wall murals that run throughout, giving the feeling of being transported to a quaint eatery in the heart of Tuscany. Filled up with too much pasta and bruschetta? Why not end your evening with a relaxing stay in a boutique hotel in Paddington, London? The Park Grand London Hyde Park is conveniently close, meaning there is no need to walk for miles with a belly full of carbs! This lovely little Italian restaurant is located in leafy Holland Park, making it a great choice for a relaxing Sunday lunch. Head out for a leisurely stroll after enjoying classic Italian dishes. If you have a sweet tooth, this place is ideal. Their pudding menu is pretty special, and we highly recommend the chocolate soufflé with banana ice cream. Seriously indulgent! Anyone who is keen to experience glitz and glamour when they dine out need look no further than this well-established eatery. Located opposite the world-renowned Harrods, this restaurant is sure to always be heaving and full of life. The place has been visited by numerous celebrities, many of whom who have left signed photographs which hang on the walls. This Italian restaurant also boasts an extensive wine list, making it great for those of you that enjoy a few tipples while you tuck into your bolognaise. This little gem is located on Kensington High Street and combines great Italian classics with live music, making it perfect for a romantic date or even just a fun night out with friends. After enjoying a classic carbonara or lasagne, head downstairs to the live lounge to enjoy cocktails and live music. Share the post "Top 5 Italian Eateries in London"
This entry was posted in London Travel Guide and tagged Italian Eateries in London. Bookmark the permalink.